translated by Erik Pema Kunsang. Music by Tara Trinley Wangmo and Erik Pema Kunsang, performed by Sascha Sellberg and Rodrigo Reijers. Namo Guruve. This style of supplication called Calling the Guru from Afar is known by everyone. Nevertheless, the key point for invoking the guru’s blessings is devotion inspired by disenchantment and renunciation, not as mere platitude but from the core of your heart, from the very marrow of your bones. Chant the song melodiously with the confidence of having resolved that your own guru is none other than the Awakened One. We leave empty-handed this land of precious gems. Not a single step onward on liberation’s path. Samsara is just pointless but we think that it has some purpose. Rather than wholesome it is harm we carry on. But during mundane deeds our senses are both sharp and clear. We play the Dharma person, doing every type of wrong. Inspire us to acknowledge all the faults that are our own. Inspire us to see misfortune as part of our journey. Bless us to see our minds were never two. 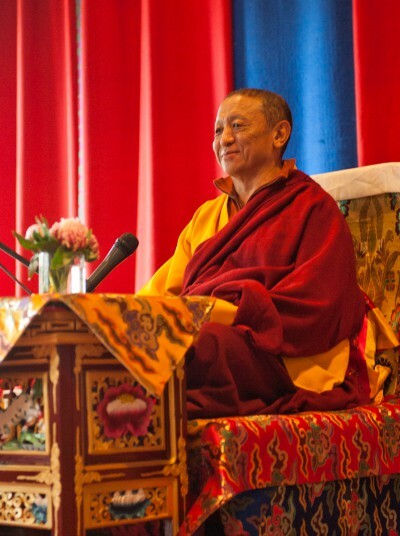 Since this edition is mainly published for disciples of Kyabje Tulku Urgyen Rinpoche and his sons, the verse supplicating him has been inserted within the text. Included are also four verses calling on Chokgyur Lingpa written by the 15th Karmapa. This edition is made for chanting in English. Translated to fulfill the wishes of our lords of refuge Tulku Urgyen Rinpoche and Chokyi Nyima Rinpoche, by Erik Pema Kunsang. Finalized in October 2013 with musical help from Tara Trinley Wangmo, Sascha Alexandra Sellberg and Rodrigo Reijers. We offer our thanks to Ian Saude and Michael Tweed, Nalanda Translation Committee, Ringu Tulku, and Michelle Martin for having prepared earlier versions. 2013. May Tulku Urgyen Rinpoche’s and his sons’ wishes be fulfilled.